Access physical activity grades, report cards and other related documents from all Global Matrix events in which Qatar has participated. 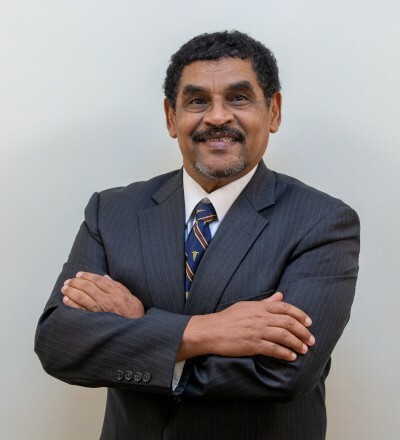 Izzeldin	EL Jack Ibrahim, Ph.D.
Abdulla Saeed Al-Mohannadi, MSPH, B.Sc. (Hons)ABDULLA AL-MOHANNADI, MSc. in Public Health (merit) – Health Promotion, Leeds Beckett University, BSc (Hons) in Sports Medicine, University of Glasgow, UK. He worked as a senior health promotion researcher in the Healthy Lifestyle Programme of Aspetar, Orthopaedic and Sports Medicine in Qatar since 2012. 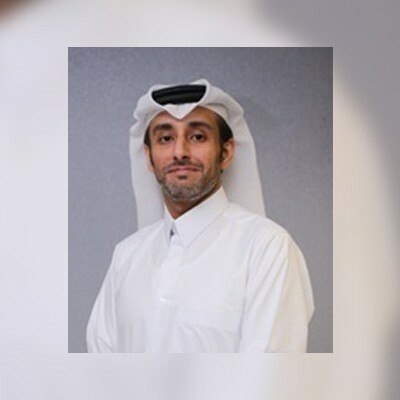 Besides doing applied public health researches he is currently taking a leading role in the hospital as Acting Director of Exercise is Medicine (EIM) Department, taking care of EIM-Qatar clinic as well as the community health section. He is already involved in national physical activity and health projects such as the Qatar’s National Physical Activity Guideline, Step into Health Programme, Namat for Healthy Life, Qatar Active Schools Programme, and Qatar Active Healthy Kids Report Card and other related projects. Abdulla is a health promotion advocate: taking care of local community health projects, conducting researches in areas of physical activity and health promotion, and as well as organizing health related events for the community. His research interest in investigation in physical activity and behavioral patterns among the population using technology and health trackers. His role now is now in shaping best practice and strategic polices toward physical activity and health promotion. 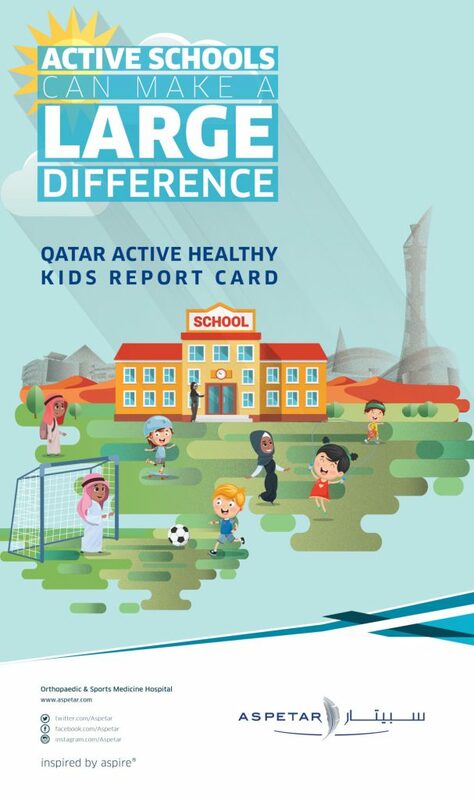 The second Qatar Active Healthy Kids Report Card (QAHK) provides an updated comprehensive assessment of available evidence on physical activity (PA) of children and youth in the State of Qatar. The goal of QAHK Report Card is to evaluate PA levels among children and youth, their behaviors, and influencing factors. QAHK report card (2018) could provide novel surveillance opportunities to understand PA trends over time and provide a platform for recommendations to improve PA level. QAHK report card was developed by a Report Card Leadership (RCL) Team at Aspetar Orthopedic and Sport Medicine Hospital, in collaboration with Stakeholder Group. A thorough literature search was conducted including recently peer-reviewed published data and national surveys. Collected data was discussed with stakeholder group and PA indicators were identified accordingly. Grades were assigned based on benchmark comparisons. High grades were assigned to government indicator (B+) and school (C), as there is continuous collaborative effort to promote children PA at schools. Other indicators were either assigned lower grades or could not be graded due to the unavailability of relevant data (Table 1). This second QAHK report card showed considerable improvement in PA indicators; however, unavailability of data for some indicators remains a major challenge. The newly developed national PA surveillance is an opportunity for obtaining valid and reliable data for the future report cards. Mohamed Ghaith Al-Kuwari, M.D.Dr. Mohamed Ghaith Al-Kuwari is a consultant of Preventive Medicine and Public Health with special interests in strategic planning of specialized healthcare services, change management, athlete and population health promotion and non-communicable diseases (NCD) control. He joined Aspetar in November 2012 as Director of the Healthy Lifestyle Program. Since April 2015, Dr Mohamed Al-Kuwari has led Aspetar as the Acting Director General and is tasked with the hospital vision and strategic oversight. 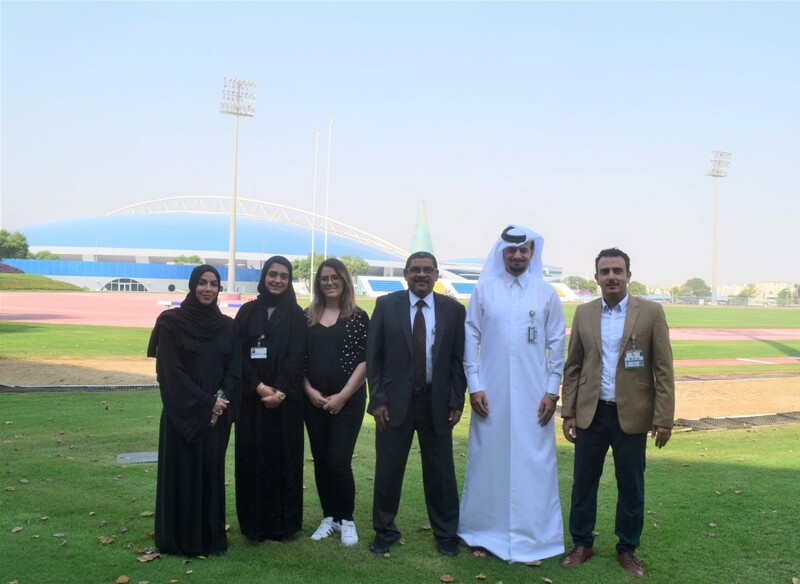 His vision includes ensuring delivery of world class specialized sports medicine services for international athletes, and Qatar’s Olympic, Professional, Amateur, Retired Athletes and the greater Qatar community who seek sports medicine services. Aspetar also provides medical services to the QOC Clubs and Federations and all major sports events held in Qatar. In addition, Dr Mohamed continues as Director of the Exercise is Medicine (EIM) Department which aims to promote a healthy lifestyle in the community and EIM clinic services based on the latest Aspetar research and education. Dr Mohamed’s academic achievements include his role as Program Director of the HMC Medicine Residency Program. 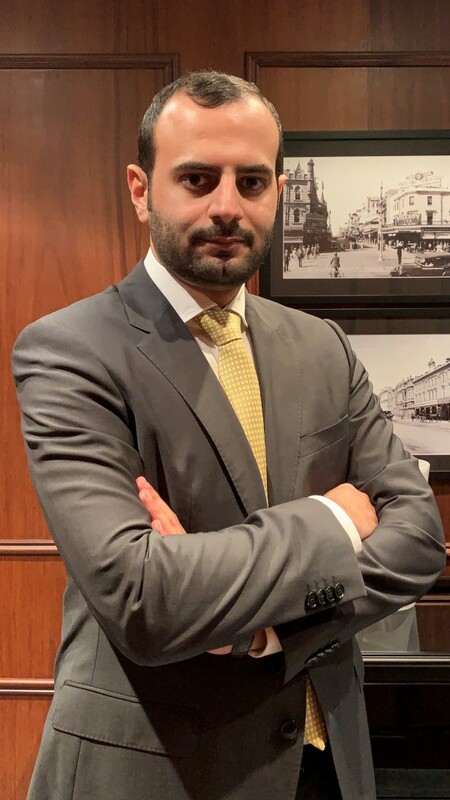 Dr Mohamed received his medical degree from King Faisal University in the Kingdom of Saudi Arabia (KSA) and has completed post graduate training in both the KSA and United Kingdom (UK). He is a longstanding fellow of the Faculty of Public Health in the UK. 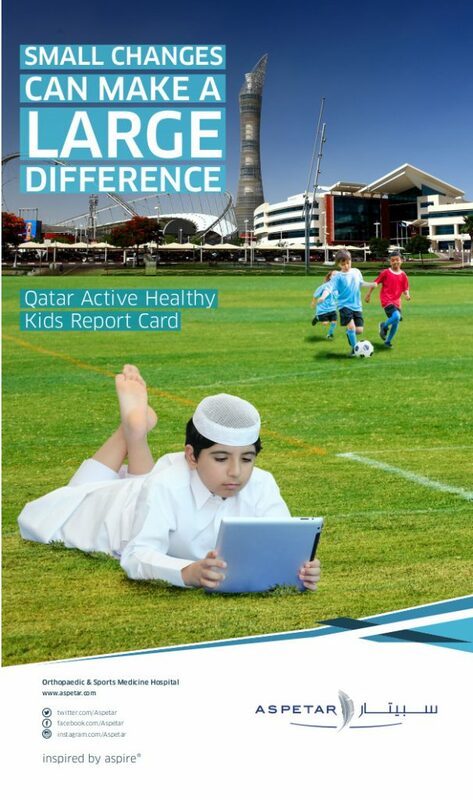 Background: Qatar Active Healthy Kids (QAHK) report card is developed in 2015. It provided a synthesis of the available evidence on children and youth physical activity in the state of Qatar. The card is important for advocacy, policy and program development. The aim of this first QAHK Report Card is to inform the nation on how active our children and youth; to give an update on children physical activity and the associated health behavior in Qatar. Methods: The application of Scotland’s 2013 Report Card process and methodology to Qatar’s Report Card 2015, adapted to Qatar’s circumstances and availability of data. The Working Group identified indicators for physical activity and the associated health behavior, reviewed and evaluated the collected data and discussed the grades to be assigned to each indicator. The grades were determined by the percentage of children and youth who meet guidelines or recommendations. Results: QAHK Report Card 2015 was based on 9 health indicators which are: 6 for Physical Activity, Health Behaviors and Outcomes in addition to 3 for Settings and Influences on physical activity and health. 4 indicators were assigned as Grade D: Sedentary Behavior, Dietary Habits, Organized Sports Participation, and Family and Peer influence. On the other hand; Physical Activity and Obesity were assigned as Grade F. Active and Outdoor Play in addition to community and School influence could not be graded due to insufficient data available. National policy, Strategy and Investment got the highest grade which is B. Conclusion: QAHK report card demonstrated that evidence supporting physical activity level in Qatar is insufficient. The major limitations associated with this report include inadequacy of some information on physical activity and the associated health behaviors. Therefore, the extracted data may not reflect the current situation in Qatar. Future surveys and researches using objective physical activity measures will support the development of second QAHK report card by 2018.